Thanks guys. What's the likelihood of it being a flex-plate? I figure I should check before doing anything else. Is it just a case of removing an inspection cover? As for running on propane, it's actually reasonably common over here in the UK. Our 4.0 ZJ has been on it with no engine problems for the last 75,000 miles (now at ~145k). 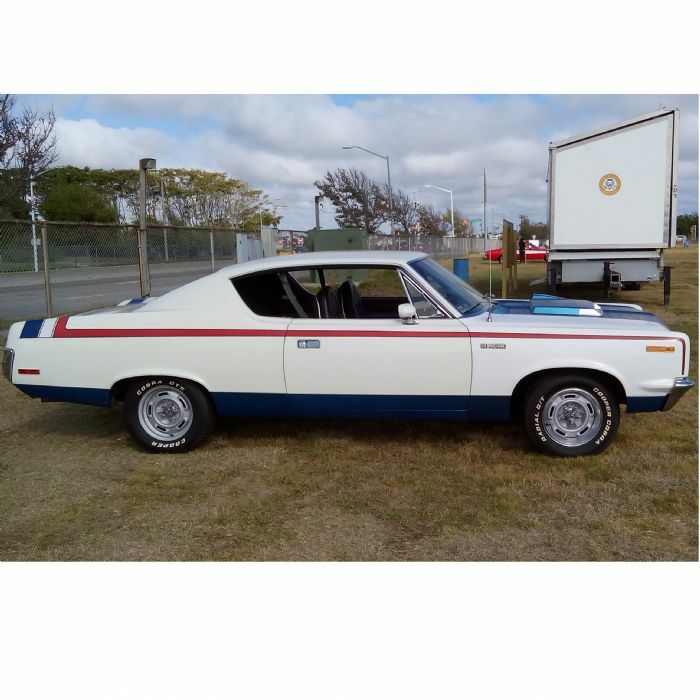 Lots of guys in Aus seem to run these AMC V8s on it too. I think you're right though, that it can cause issues on a lot of engines. On those where it does cause mechanical problems, my research shows that it generally seems to be top end though, such as causing valve seat recession. If my problem was caused by a bad main, would I have noticed a change in oil pressure? A bad flexplate would probably cause a vibration. I would think if it were compromised to the point of making a noise that the car wouldn't be driveable. Cool, having listened to it again I don't think that is the cause. I took the belts off tonight and started it cold - turns out the noise does seem to be there when cold after all. Sounds like valves to me. Yeah I hear a valve tick. Maybe an exhaust leak. Hold your hand over the exhaust pipe and temporarily block it to see if the tick gets louder. Wear an insulated glove or use a rag, don't get burned. Try it cold, then warm. If its an exhaust leak, you'll force the air back up the pipe and out the leak. Just hold your hand over the pipe for a few seconds, let off, cover it again a few seconds, back and forth until you're sure it's not an exhaust leak. So yes the knock changes frequency and pitch when you have taken forces off the front of the crankshaft. If it is exhaust there should be no change, belts on or off. That stated, now it does sound higher up and more like a valve noise but the video is just from one side and before the knock was just as loud at the bottom of the engine? I would be pulling the heads in place and inspect valves/valve train and pistons. Still just guess work at this point. Thanks for the advice guys. I don't have time at the moment to look at this myself, so will be sending it to my local Jeep specialist as soon as possible. Lyle, my thinking is that the change in pitch and frequency is probably more to do with the fact that this was a cold start rather than warm, although I've not ruled out the possibility that I have a knock when warm and a lifter issue when cold! I still suspect a small engine exhaust leak. Converter bolts are worth a look. If loose, blue locktight them and torque them to spec. I really like the no belt test, but not for too long. chain slap can be potential causes. Avoid an easter egg hunt, stay with the cheep stuff first. Sorry to dig up an old post, but I thought it would be helpful to put what I eventually discovered the problem to be. It turns out that my knock at idle was actually a timing issue. When cold, yes, the valve-train was making some noise, but when hot I was getting an idle knock. My 360 usually runs on propane, and I noticed that when I switched to gas the problem completely went away. I had the timing adjusted and now it runs much, much smoother at idle, has more performance, and best of all the knock is totally gone. Looks like the timing was just out for propane all along! I'm a pessimist and a realist. Go through the engine. Give it a light rebuild. Perhaps put a mechanical reference gauge on for oil pressure. Just know that likely, it's the inevitable backslide of a jeep engine. A cam bearing or two flaked apart causing oil pressure drop, the pump housing a little opened up, a bunch of heat crossover sludge damage, timing chain, bridged pivot rockers taken out by the sludge. Even on propane. It's old. Get it while you can do an easy freshen up, but budget for more. Maybe it's just rockers, but, it's a nice Grand, freshen it up. Rod knocks tend to get louder as the engine warms up, and under load and/or with more throttle. The fact that yours didn't do that, plus the excellent oil pressure, tells you that it probably wasn't a rod knocking. Now that it's fixed, go drive and enjoy it.